Here you can get the famous Georgian Snazzy Beans (definitely avoid if you have symptoms from beans of course!) with scrambled eggs and on the side a spice paste called Ajika. Ajika by the way is an awesome accompaniment to meals to add additional flavour and it is mainly herb and chilli based therefore if chilli is an irritant to your gut symptoms it is not for you unfortunately. 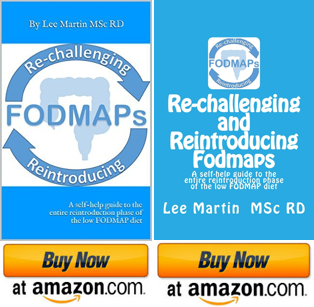 A low FODMAP version can easily be replicated, it is mainly garlic that needs removing. However breakfast is often a rushed affair or worse completely missed as you get caught up in the daily grind of getting to work. Anyway we thought it would be good to share this little summer gem of a tasty and healthy low FODMAP recipe which we stumbled upon. I know plenty of patients who have stuck to either gluten free Cornflakes (for some reason gluten free Cornflakes are low FODMAP while normal Cornflakes contain FODMAPs) or Rice Krispies (maximum portion size of 30g to be low FODMAP) or having gluten free toast every day on the low FODMAP diet. A low FODMAP breakfast really shouldn’t be that boring! There’s nothing to this recipe, really it is very simple. However sometimes its the combination of foods that work so well the flavour is just perfect. This is what happened here with this quick breakfast idea which could quite easily also be a snack you can take to work and keep in the fridge. We managed to get some reduced Papaya (Paw Paw) which became the inspiration for this dish but you could use any combination of two suitable low FODMAP fruits. Papaya is not a fruit commonly eaten in the UK but when following the low FODMAP diet there are many traditional UK fruits (e.g. apple, pear, plum, peach etc.) that you need to avoid for a few weeks so it’s good to try other fruits and ensure you are still getting a variety of fruit in your diet. *NOTE: Very ripe bananas contain FODMAPs (fructans) once you have 45g so it is best to avoid very ripe bananas on a low FODMAP diet. While unripe (green) bananas are low FODMAP but they taste like chalk so go for ‘yellow’ bananas in-between ripe and unripe! If you want a more substantial breakfast then add extra oats or oatmeal, although I suggest you use fine oatmeal as otherwise it will taste a bit grainy. You could always soak the oats in the yoghurt if preparing in advance. In fact you could prepare the whole breakfast the night before to save time or take to work. It might look like a stodgy mess when you mix it together but it tastes just perfect so while it’s sunny enjoy this light but filling Tropical low FODMAP brekfast. Can we have yogurt? Thought we couldn’t. Yes you can have two tablespoons of yoghurt this will be low in lactose. All plain and Greek yoghurts should be suitable. Make sure you check for added high FODMAP ingredients such as inulin, fructose or oligofructose, especially if using a flavoured yoghurt. Fantastic! I have been missing my yogurt. And can use it in dressings and things. Thanks much.